I saw these two figurines at Goodwill today. I stood there looking at them pondering whether to buy them. 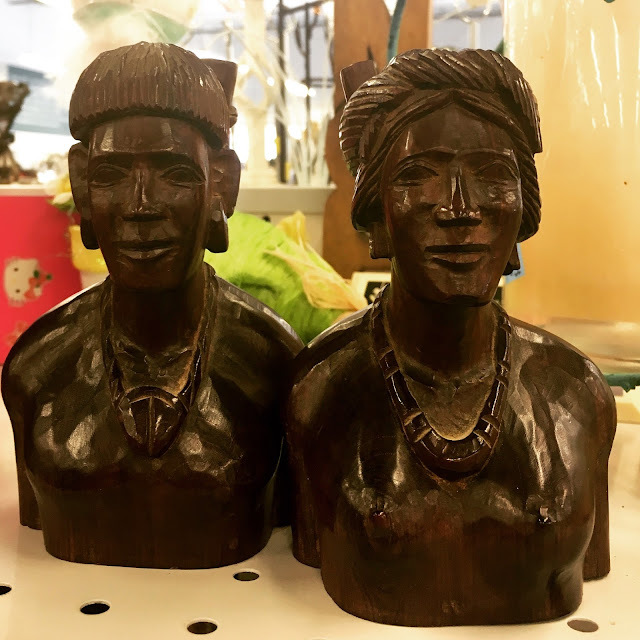 They were solid wood, carved, but didn't have any markings on them. They were probably cheap reproductions from China but they were heavy, and solid. And kinda cool. I didn't buy them but I think I might be going back. They're happy looking figures and they need a new home. they are ugly, very ugly. do not buy them!